Cari is an experienced REALTOR with 12 years experience in Tri-Cities, WA. 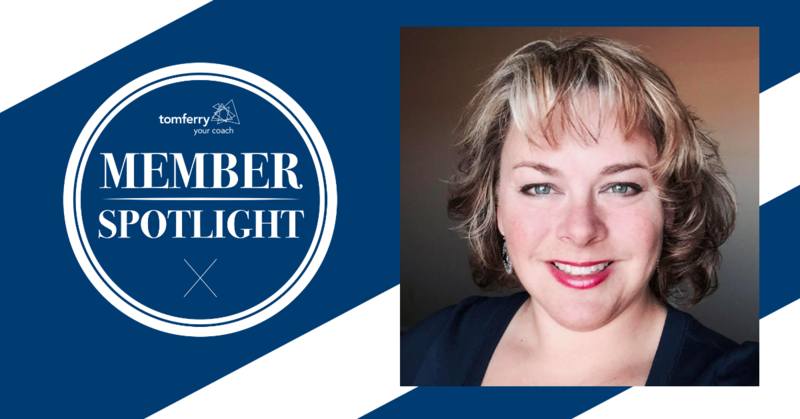 After realizing the potential growth that she could experience with coaching, Cari made the leap into the Tom Ferry Coaching Program. In her first six months in coaching, Cari has already matched her volume for the entire previous year and she is on track to have her best year ever! “I started working as a licensed agent in January 2004. After about ten years in the industry, I was doing pretty well for myself. I was at RE/MAX’s R4 convention in 2015 when I was introduced to Tom Ferry. My colleagues were going to hear Tom speak at his seminar at R4, so I tagged along. Tom came out on stage and said, “If you closed 30 transactions last year, congratulations! You are a rockstar!” I felt pretty good, like I belonged there because I had closed 30 sales in 2014. I don’t even know what he said for the remainder of the hour. I just kept thinking about what selling 130 houses in a year would mean for me and my family! What would that LOOK like?! But when I reached the end of 2015 I realized I wasn’t where I wanted to be. I had started watching the videos by then and remembered what I’d heard earlier in the year. So I picked up the phone for my free coaching session. Before I started coaching, I had recently finished the year with 27 transactions at $5.35 million and $143,000 in GCI. Now, only six months into coaching, I am at 16 transactions at $5.25 million and $120,000 in GCI! FYI, the disparity in commissions as compared to last year comes from some land purchased for a builder that no commission is paid on, and also a builder I work with who pays just 2% on the listing side. I have projects that I am working on that will bring my GCI more in line with what I typically make per transaction, by year’s end. My mind is SO much more open now! I’m accepting alternative ways of looking at situations and doing things. I realize now I DON’T have all the answers. My biggest advice? Find a coach that you have a connection with. I switched coaches 2.5 months in and I knew right away that this was how coaching was supposed to be.